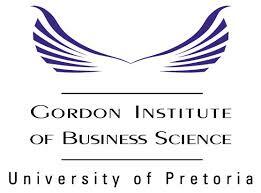 Glad Dibetso, a graduate of the Master of Business Administration (MBA) class of 2012 at the University of Pretoria’s Gordon Institute of Business Science (GIBS), has been short-listed for the MBA Student of the Year Award of 2013. The prestigious award, run jointly by The Independent and the Association of MBAs (AMBA) is designed to highlight the value of the MBA, both to businesses and to individuals looking to broaden their knowledge or step into new areas. Glad is one of six top students selected from AMBA-accredited business schools globally. The winner will be announced at a gala dinner, which will be held on 6 November at the Montcalm Hotel, London. Currently based in Nigeria, Glad, 38, is the general manager for Dimension Data for the West African region. He has progressed from analyst programmer to project manager, sales executive and now general management level. Initially operating both at business and technical level in multiple industries, he has subsequently gained solid professional experience both in South Africa and the United Kingdom. Most of his experience has been gained in the financial sector and he has worked mainly within blue chip companies. His current position came after the completion of his MBA degree at GIBS. The nominees are hand-picked from students at AMBA’s accredited business schools and are required to be high achievers from the MBA arena. Academic achievement is a prerequisite – however, it is not enough on its own. Selection criteria includes but is not limited to the following: strong record of academic achievement, contribution to group dynamics, showing potential for leadership and innovation, and devotion to enhancing the value of the MBA in the market. Glad will now square up with the other finalists during one-on-one interviews in London during August.